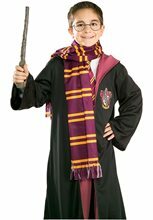 Harry Potter Scarf; Includes: One Harry Potter Scarf. Available Size: One Size Fits Most Adults and Teens. *Costume and Accessories Not Included. 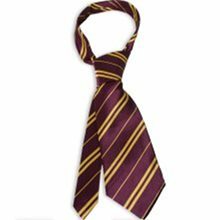 Harry Potter Sorting Hat is brown in color.Cotton lining, secret pocket with fortune Size adjustable Soft ultra-suede fabric.It isa Licenced Product from Harry potter. 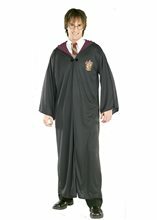 Harry Potter Slytherin Robe Child Costume.Includes: Robe with clasp.Available Size: Child - Small, Child - Medium, Child - Large. (See Size Chart For More Information)*Shoes, Shirt and Tie Not Included. 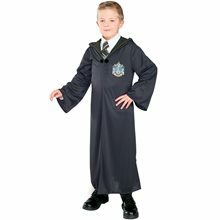 Accessories Sold Separately.Become your favorite storybook character in this awesome Harry Potter Slytherin Robe Child Costume! Comes complete with robe and clasp. Accessories sold separately. 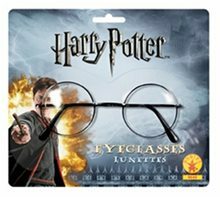 Harry Potter Movie Eyeglasses.Includes: One Pair of Harry Potter Movie Eyeglasses. Available Size: One Size Fits Most Adults, Teens and Children. *Costume and Accessories Not Included. Sold Separately. Features one pair of Harry Potter glasses. Color: As Shown. Sizes: One Size. 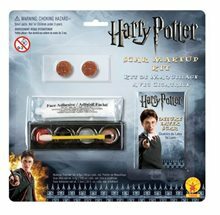 Complete your Harry Potter costume today! 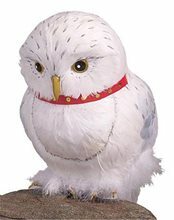 Harry Potter Movie Owl,Licensed Harry Potter Accessory. Perfect addition to our Harry Potter costumes. A realistic replica of Hedwig the Owl. 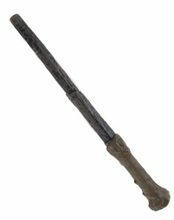 Harry Potter Dueling Battle Trainer.Includes: One Harry Potter Dueling Battle Trainer Set. *Costume and Accessories Not Included. Sold Separately. Based on the movie Harry Potter produced by Tomy, Neca. 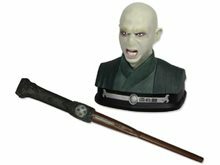 Prepare to face the forces of evil with this infrared wand and electronic animated Voldemort bust! Learn up to 10 spells in 3 levels of difficulty and play in 4 different modes to hone your wizardry skill! Watch as Voldemort reacts to your spells!